For the last 60 years, J. I. Packer has exerted a steady and remarkable influence on evangelical theology and practice. His many books, articles, and lectures have shaped entire generations of Christians, helping to elevate their view of God and enliven their love for God. 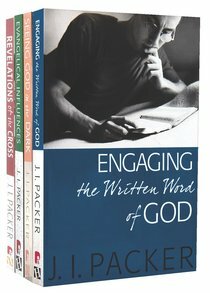 This collection of Packer's shorter writings consists of 91 theologically substantive articles on the church and Christian life, the Word of God, Christian history and biography, and a host of contemporary theological issues, all characterised by Packer's inimitable insight and Godly wisdom. About "Cswp: Collected Shorted Writings of J I Packer 4-Pack (4 Vols)"